Recorded at a series of live events in the UK and Europe in June 2016, a live album Africa Express Presents... The Orchestra of Syrian Musicians & Guests was released on 9 December via Google Play and on CD. 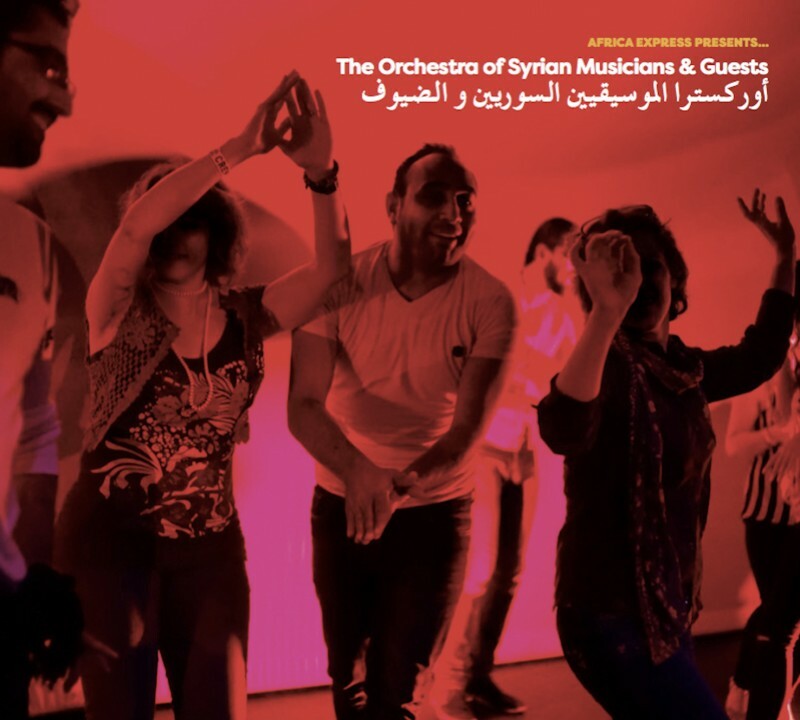 The orchestra features current and former members of the Syrian National Orchestra for Arabic Music, whilst the guests include Damon Albarn, Julia Holter and Paul Weller. The album has now been released everywhere and featured as Album Of The Day on BBC Radio 6 Music on 20 January. The trailer film features some of the music on the album and the performances at which it was recorded. Alongside Terry Riley's In C Mali and Maison Des Jeunes, the Africa Express trilogy is an amazing collection of music. The music is the first time these musicians have come together since the start of the Syrian conflict 5 years ago, so naturally was a significant experience for everyone invloved. "The album is very important to us. It was a very unique project, bringing together artists from all over the world to perform with the most brilliant musicians from Syria. It was a great honour. And this new album will give people another opportunity to get to know The Orchestra of Syrian Musicians for what we are - passionate, professional musicians and singers." "This experience was one of my greatest ambitions. As an oriental musician, being part of these performances was a real pleasure and motivation, the opportunity inspired so many musical thoughts and dreams. I long for the new album and I really feel so excited to share the marvellous flavour of our success with the world."